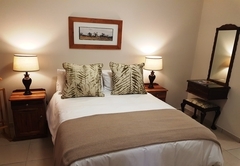 Valid 18-21 April 2019: 10% discount on standard rates, on stays of 3 nights or longer. 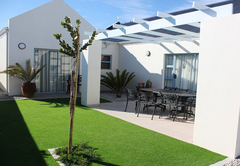 Romoja is a property providing self catering in Langebaan for up to 6 guests visiting the Cape West Coast region. 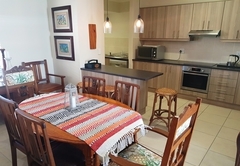 Romoja is situated in the secure Blue Lagoon complex in Langebaan and offers self catering Cape Town accommodation on the West Coast. 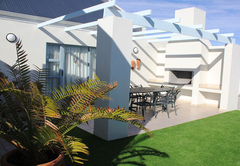 The house is within walking distance of the beach which stretches from Club Mykonos to Langebaan. 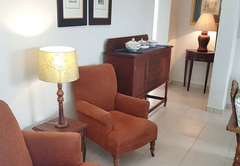 Ramoja can accommodate six guests in three bedrooms. 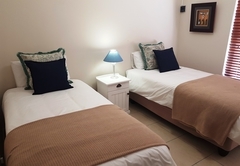 The main bedroom is furnished with a double bed and an en-suite bathroom. 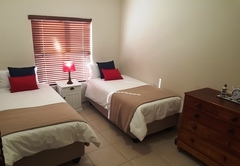 The second and third bedrooms each have two single beds and share a full bathroom. 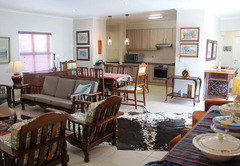 The house is beautifully decorated. 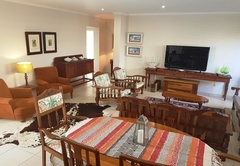 There is a comfortable, open plan living and dining area complete with DStv and a cosy fireplace. 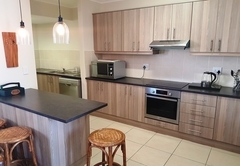 The kitchen is fully equipped for self catering and includes a microwave, stove, oven and a dishwasher. 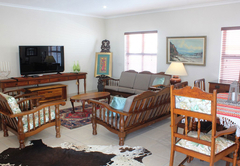 Outside there is a garden, patio with furniture and braai facilities. 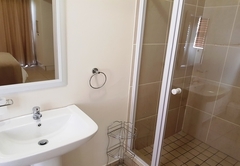 There is secure on site parking. 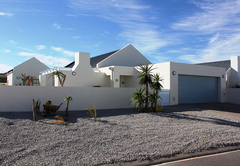 Ramoja is situated in Blue Lagoon which is a security complex located halfway between Langebaan and Club Mykonos. 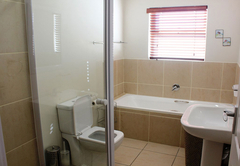 Linen and towels provided. Not pets! Response timeRomoja typically responds to requests in 5-10 minutes.